My responsibilities at The New Saints are wide and varied, with post-match interviews in there with the things I do. It involves chatting with our manager and a selected player(s) at the end of the game. 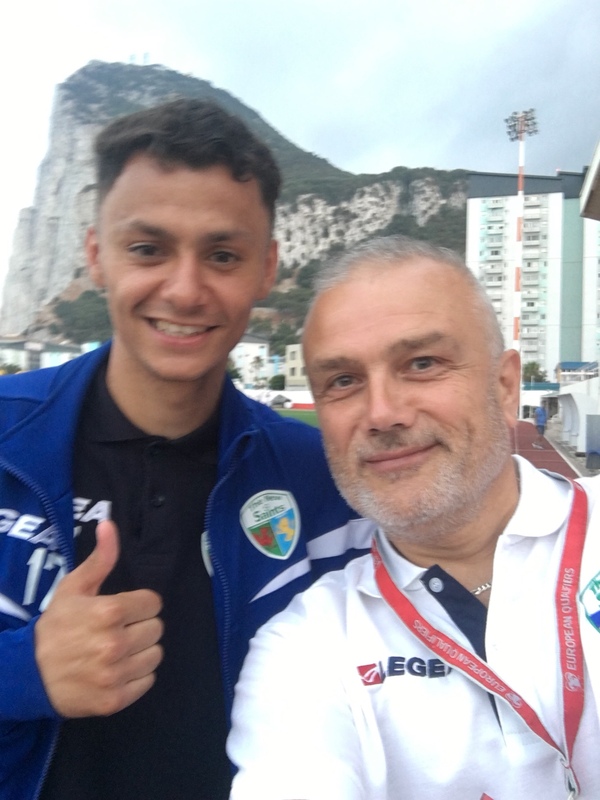 Although it was windy at times, which isn’t ideal, nevertheless after the game which was at Victoria Stadium in Gibraltar you simply can’t let the opportunity of the rock as a backdrop pass you by. Goalkeeper and captain Paul Harrison, goalscorer Dean Ebbe, and manager Scott Ruscoe were the three that we interviewed following the UEFA qualifying round two game at the national stadium. Immediately after the interview, a selfie with Dean. Always a selfie. The embedded videos below are from TNS TV. Check out the home page of my website HERE.